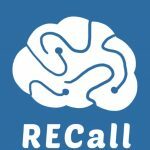 RECall – RECall is a mobile AI application that aids you in remembering things. With a tap of a button, it lets you record the things you need for the day such as your appointments, medicactions, tasks, etc. Through recording, the app will automatically plots the calendar, sets alarms, and make logs for you. The AI will learn what you have recorded. Through her learning’s you can ask personal questions such as “Where did I place my wallet?”, “What do I need to do today?”, “When is my appointment with the doctor?” and so on. The app will also remind you an hour before a certain event to make sure you won’t forget. 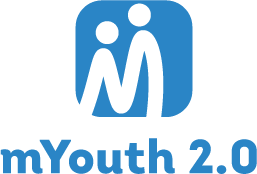 The logs stored in the app will also be used for detecting early signs of memory problem such as Alzheimer’s disease with the use of data mining techniques to predict such behaviors. 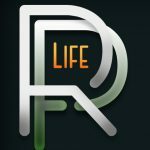 RPLife – RPLife is a mobile application that changes the way people view productivity. With our app, productivity will be seen as fun rather than a stressful activity. RPLife brings excitement to work, projects seemed like adventures, complete a task and deal damage to the enemy. Fail to do so on time and the entire team gets damaged. Being in a quest promotes engagement and cooperation to the team members. There are companions that will aid the users along their journey. They act as a coach, and as a friend and will inspire you to do more with their cute and charming personalities. 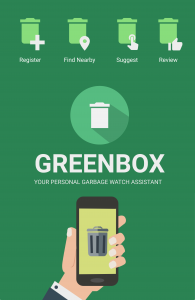 Greenbox – The mobile application aims to solve the different pollutions and inconvenience that has been an effect of disposing garbage and trashes to inappropriate places. This is a navigating system that determines the locations of nearby garbage cans. The app can allow users to request for a trash can in the desired location or allow a nearby resident to register his or her own garbage cans.